- Publisher This is Colin Urquhart's long-awaited release in the inspirational style of his best-sellers My Dear Child and My Dear Son. The theme of grace abounds in this book of meditations written in the engaging, warm style of God's words to his beloved children. Using the Bible as the foundation, Colin Urquhart passes on God's love to his people in readings that will go right to the heart. Written in the first-person voice, the letters in My Beloved center on the notion of grace as the free, unmerited favour of God. Nothing we do can earn what God longs to give his people. Readers who take up his book will feel wrapped in the arms of their Creator. Basing his letters firmly in Scripture and drawing on his experience with God's Spirit, Urquhart writes with the hope that the reader will hear God's voice and know his love. - Publisher This is Colin Urquhart's major book for 2000 and the long-awaited release in the inspirational style of bestsellers My Dear Child and My Dear Son. 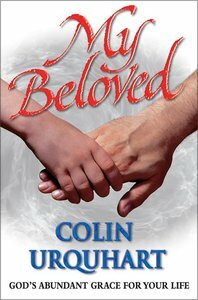 This is Colin Urquhart's long-awaited release in the inspirational style of his best-sellers My Dear Child and My Dear Son. The theme of grace abounds in this book of meditations written in the engaging, warm style of God's words to his beloved children. Using the Bible as the foundation, Colin Urquhart passes on God's love to his people in readings that will go right to the heart. Written in the first-person voice, the letters in My Beloved center on the notion of grace as the free, unmerited favour of God. Nothing we do can earn what God longs to give his people. Readers who take up his book will feel wrapped in the arms of their Creator. Basing his letters firmly in Scripture and drawing on his experience with God's Spirit, Urquhart writes with the hope that the reader will hear God's voice and know his love. This is Colin Urquhart's major book for 2000 and the long-awaited release in the inspirational style of bestsellers My Dear Child and My Dear Son.